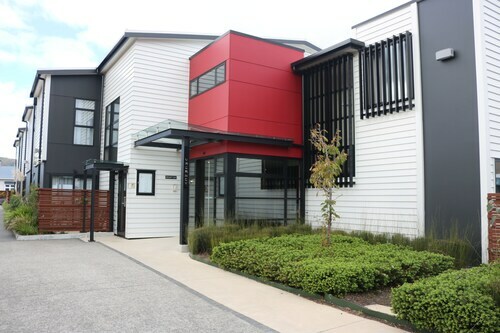 Located in Petone, this apartment building is 0.6 mi (1 km) from Petone Foreshore and within 3 mi (5 km) of Dowse Art Museum and Queensgate Shopping Centre. Maori Treasures is 3 mi (4.9 km) away. Lower Hutt Petone Station is 11 minutes by foot and Lower Hutt Ava Station is 25 minutes. 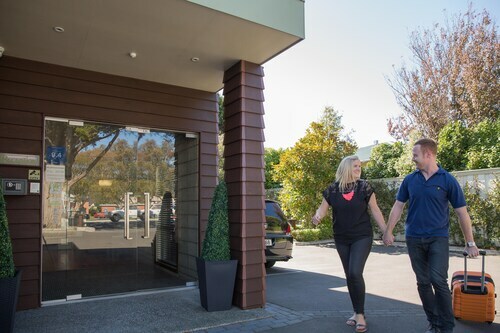 Located in Petone, this motel is 0.9 mi (1.4 km) from Petone Foreshore and within 3 mi (5 km) of Dowse Art Museum and Queensgate Shopping Centre. Maori Treasures is 2.6 mi (4.2 km) away. Lower Hutt Petone Station is 11 minutes by foot and Lower Hutt Ava Station is 16 minutes. 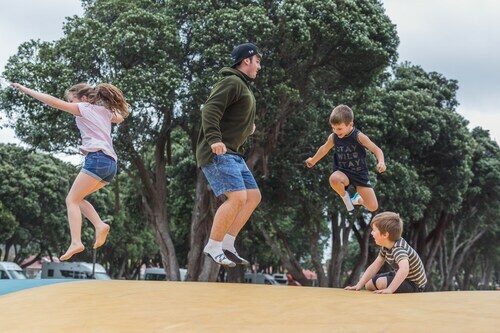 This family-friendly Lower Hutt campground is within 2 mi (3 km) of Maori Treasures and Petone Foreshore. Queensgate Shopping Centre and Dowse Art Museum are also within 3 mi (5 km). Lower Hutt Woburn Station is 29 minutes by foot. Located in Petone, this motel is 0.9 mi (1.4 km) from Petone Foreshore and within 3 mi (5 km) of Dowse Art Museum and Queensgate Shopping Centre. Maori Treasures is 2.8 mi (4.5 km) away. Lower Hutt Ava Station is 21 minutes by foot and Lower Hutt Petone Station is 21 minutes. 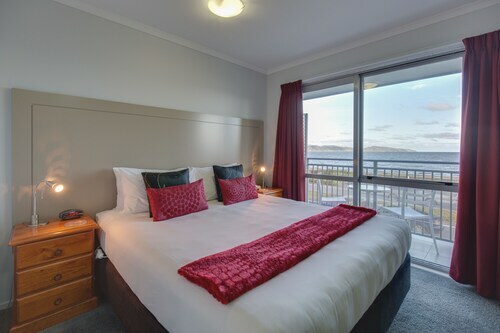 Located in Petone, this motel is 0.8 mi (1.2 km) from Petone Foreshore and within 3 mi (5 km) of Dowse Art Museum and Queensgate Shopping Centre. Maori Treasures is 2.7 mi (4.3 km) away. Lower Hutt Petone Station is 9 minutes by foot and Lower Hutt Ava Station is 18 minutes. 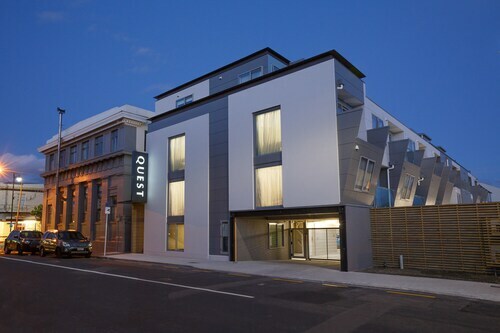 Located in Petone, this luxury apartment building is 1 mi (1.7 km) from Petone Foreshore and within 3 mi (5 km) of Dowse Art Museum and Queensgate Shopping Centre. Maori Treasures is 2.5 mi (4 km) away. Lower Hutt Ava Station is 14 minutes by foot and Lower Hutt Petone Station is 20 minutes. 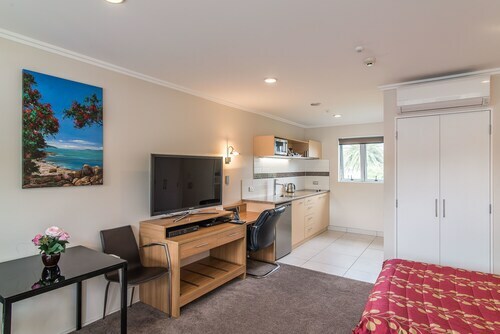 Situated in Lower Hutt, this motel is 0.9 mi (1.4 km) from Queensgate Shopping Centre and within 3 mi (5 km) of Dowse Art Museum and Maori Treasures. Interislander Ferry Terminal and Westpac Stadium are also within 9 mi (15 km). Lower Hutt Epuni Station is 17 minutes by foot and Lower Hutt Melling Station is 18 minutes. Located in Petone, this bed & breakfast is 1 mi (1.6 km) from Petone Foreshore and within 3 mi (5 km) of Dowse Art Museum and Queensgate Shopping Centre. Maori Treasures is 2.9 mi (4.6 km) away. Lower Hutt Petone Station is 17 minutes by foot and Lower Hutt Ava Station is 21 minutes. Part of the Wellington metropolitan area, the riverside city of Lower Hutt boasts plenty of attractions and is an ideal spot to experience this lovely part of New Zealand. Close enough to the capital to get to with ease, yet far enough away to provide something different, it is a great place to use as a base for a fun-filled vacation. 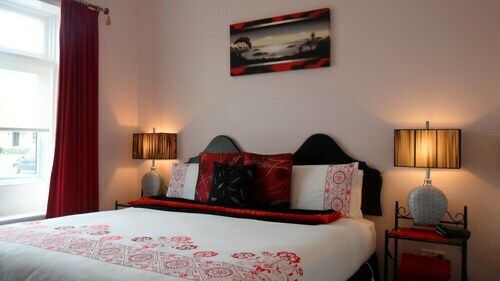 Have a look at our Wellington-Lower Hutt accommodation and you’re sure to find the perfect place to stay. The city has a good selection of places to eat and drink and is within close proximity to Wellington Harbour, with plenty of wildlife, nature, history, and culture to be found. The Lower Hutt area was previously covered by dense forests and some protected areas of bush still remain, providing great opportunities for hiking, walking and wildlife spotting. It is a great place for bird-watchers, with local species including fantails, pigeons, warblers, and cuckoos. Several other types of birds have been introduced to the area, including sparrows, thrushes, magpies, chaffinches, and blackbirds. With plenty of rolling hills nearby, why not explore them to get some incredible views. The Taita Gorge is a popular place for enjoying the great outdoors. Hiking, cycling, and fishing are popular activities around the city. Traces of Maori heritage can be seen, with an old settlement at both ends of Petone Beach, and the Maori Treasures Complex is a good place to start for more information about the Indigenous population. Art lovers can enjoy admiring the works in the Dowse Art Museum, and the city also has some good museums. The interesting colonial-era Vogel House is another of Lower Hutt’s tourist attractions. You can find a terrific assortment of goods at the lively local market. Take a trip to nearby Eastbourne and enjoy the coastal views. If this sounds like your kind of holiday, make sure that you don’t miss out on our great deals for Lower Hutt hotels and cheap flights to Wellington. How Much is a Hotel Room in Lower Hutt? Hotels in Lower Hutt start at NZ$81 per night. Prices and availability subject to change. Additional terms may apply. my experience with Novotel Wellington is good over all, but room cleaning can be improved.